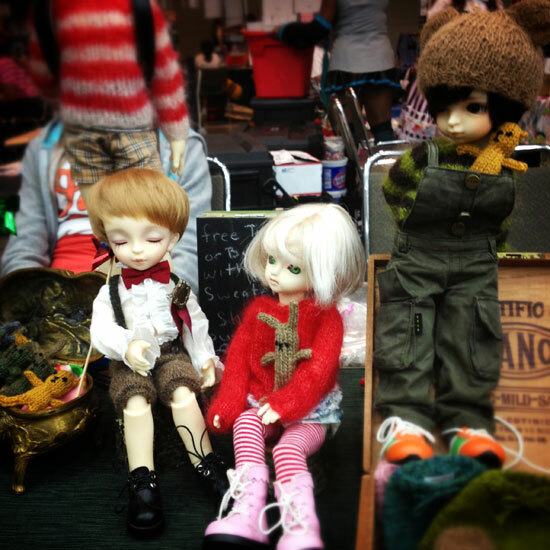 Little Robin and her incredibly sweet owner stopped by my table on friday. She is wearing her new scoop neck sweater in Vermillion and looking wonderful. She took some time out of her busy convention schedule to talk to the Haru and Yoshi. Though honestly, I think Haru did most of the talking…. he always does. So Otakon was this past weekend and what a wonderful time we had. I need to give a big thank you to everyone who stopped by my table. I saw so many familiar faces and met quite a few new ones. It was so great talking with everyone and even having a few rare moments hanging out with friends I rarely see. I think by sunday my voice was almost completely gone.